The master licensing agreement leaves space to increase rent if the FCC order is overturned. The city of Bellevue, in collaboration with the Bellevue Chamber of Commerce and several wireless service providers, has paved the way for small cell and 5G technology within the city. The city council approved a master licensing agreement for small cell implementation on Jan. 22, despite a Federal Communications Commission (FCC) order approved last September limiting the city’s control over small cell design approval and annual rent. Small cells are smaller cell phone antennas, designed to fit on utility poles or light posts and fill in the gaps left between the larger cell towers. They currently support 4G or LTE networks and will eventually support 5G networks as the technology develops. The FCC order, effective Jan. 14, specifically limits the annual rent per pole to $270 and restricts the permit review time frame to 60 days for existing structures and 90 days for new structures. The order also defines the antenna size limitations without limiting the number of antennas allowed per pole. The city would have alternatively rented poles at a market price of $1,500 annually and had 150 days to review permits. 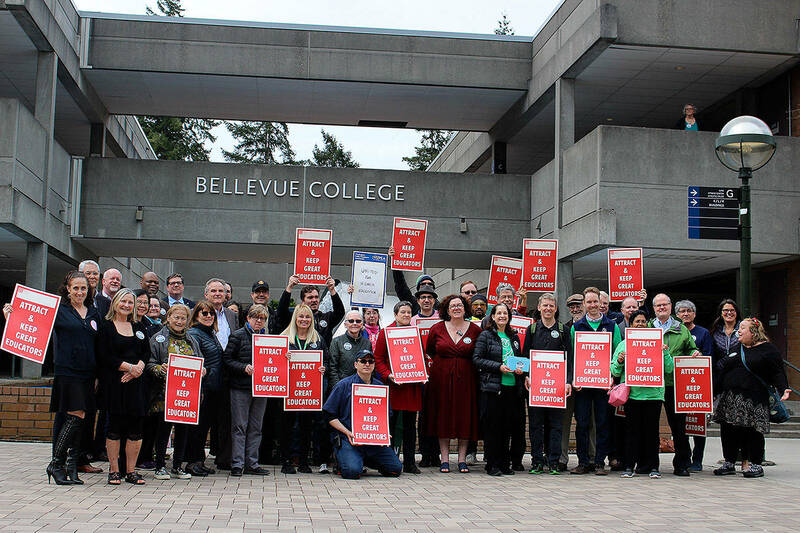 Bellevue recently joined a coalition of cities attempting to get the order overturned and included contingencies in the master licensing agreement allowing the city to increase the rent should the order be invalidated. City council members proclaimed their disappointment in the lack of local control imposed by the FCC but emphasized their support for small cell implementation within Bellevue. City staff expect wireless service providers to begin implementing small cell antennas in downtown Bellevue immediately and later on in other areas. Small cells can be particularly useful downtown and in suburban neighborhoods where there’s no room for the larger antennas or cell towers. Nine Energy and Commerce Committee Democrats voiced concerns before the order was approved, stating the order would delay small cell implementation by limiting cities and municipalities. Currently, two U.S. representatives, Energy and Commerce Committee chairman Frank Pallone, Jr. (D-NJ) and Communications and Technology Subcommittee chairman Mike Doyle (D-PA), are investigating the FCC to determine if some employees coordinated with licensees to challenge the order in different courts and avoid a case within the Ninth Circuit Court of Appeals. That would put the FCC in a better position against efforts from Bellevue and the other cities attempting to overturn the order with challenges filed in the Ninth Circuit. As of Jan. 24, four FCC licensees have separately petitioned federal review of the order in separate court circuits.